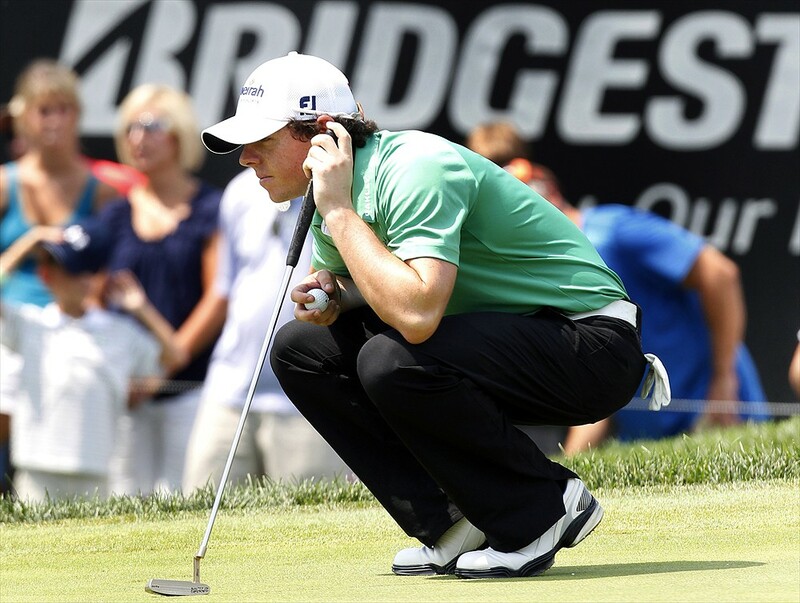 Has Rory McIlroy improved his putting or did he just have a good week at the Honda? Photo copyright Cliff Welch/Icon SMI. Presumably, he meant a day of practice before the Honda Classic. Turns out it took one tournament day at the Honda. After substandard putting in a first-round 71, Woods turned it around with outstanding work on the greens the last three days as he shot 68-69-62 to finish second to Rory McIlroy. McIlroy, for his part, was coming off a week where he putted great in the Match Play semifinals against Lee Westwood and then poorly in the final the very same day against Hunter Mahan. At the Honda, he had one great day of putting (the final round), one very good one, one good one, and one mediocre one—it added up to a strong week on the greens as he gained six strokes on the field with his putting over the course of 72 holes. It all goes to show how fickle putting can be, even for the best players in the game. Putting is perhaps the game’s most variable skill. It’s akin to baseball, where a player can go 4-for-4 one day and 0-for-4 with four strikeouts the next. Fixing it is never as easy as Woods made it sound at the Match Play, as his first round at the Honda demonstrated. As soon as you fix one thing in the stroke, another may go awry. And it’s not just the mechanics of the stroke. A player’s feel varies from day to day. He might have a day when he just doesn’t read the speed or break of his putts correctly. He might have a lucky day where he ends up with a bunch of straight putts, a few putts lip in, or he has a couple of putts he hits offline by exactly as much as he misread it in the other direction so that the ball goes in the hole (although most of us—including pros—would say that never seems to happen). There is some good news in this for weaker putters. Such fluctuations mean that even bad putters have good rounds, and good weeks, on the greens, giving them a chance to win. Or finish second, as Tom Gillis did at the Honda, tying Woods. Gillis ranked 160th on Tour in putting last year, losing 0.358 strokes per round, but first at the Honda, where he gained 2.489 strokes per round. Of course, these fluctuations occur around a player’s overall level of skill on the greens. Just like in baseball a .300 hitter has a better chance of going 4-for-4 than a .250 hitter, a player who has a strokes gained average of +.500 has a better chance of a great putting round than one whose average is -.500. But a player’s overall level can change over the course of his career. Woods was one of the best through 2009 and has been mediocre overall since then. The 22-year-old McIlroy, while unquestionably a great ball-striker, has been a below-average putter in the early stages of his PGA Tour career. In his only full campaign on the PGA Tour, 2010, he ranked 145th in putting as he lost .225 strokes per round. In limited appearances last year (and not counting his winning effort at the U.S. Open since major championships don’t have ShotLink statistics) he lost .129 strokes per round. Doubts about his putting and his ability to close are the only things that have dogged McIlroy early in his career, the only roadblocks on his path to greatness. Fellow Northern Irishman Graeme McDowell said on Sunday after McIlroy’s victory that there was a relationship between the two problems. McIlroy was five-for-five on putts between four and ten feet in the final round of the Honda—four of them coming on the last six holes as he preserved a narrow lead over Woods. But was this the case of a mediocre putter having a good week, as sometimes happens? Or is McIlroy really a better putter now? That’s something we’ll find out over the course of the rest of the year. If he really has improved on the greens, predictions of a long reign could prove to be true. Then again, if Woods can regain at least a degree of his old form on the greens, the Honda won’t be the last time we’ll see him and McIlroy battling for a title.